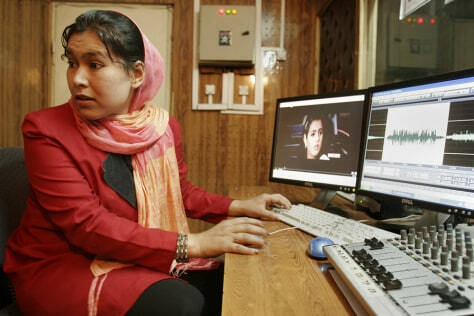 Sahar Amdard, 23, records a program at the Voice of Afghan Women Radio studio in Kabul, Afghanistan, on Monday. The lives of Afghan women and girls have improved vastly since the fall in 2001 of the Taliban. But this month has seen a rising number of attempts to quash these advances with threats and violence.